The PEN/Robert J. Dau Short Story Prize for Emerging Writers recognizes 12 emerging fiction writers each year for their debut short story published during a given calendar year in a literary magazine or cultural website and aims to support the launch of their careers as fiction writers. Each of the 12 winning writers receives a cash prize of $2,000. 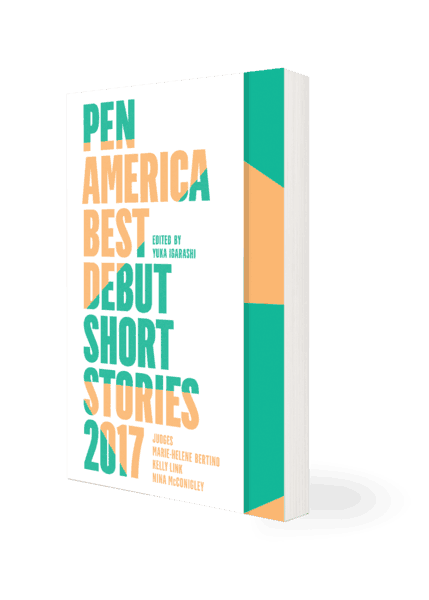 The independent book publisher Catapult will publish the 12 winning stories in an annual anthology entitled The PEN America Best Debut Short Stories. The literary magazines and websites where the stories were originally published will be acknowledged in the anthology. JODI ANGEL‘s first collection of short stories, The History of Vegas, was published in 2005 and was named as a San Francisco Chronicle Best Book of 2005 as well as an LA Times Book Review Discovery. Her work has appeared in Tin House, Zoetrope: All-Story, One Story, Byliner, and the Sycamore Review, among others. Her stories have received several Pushcart Prize nominations. Most recently her story “A Good Deuce” was noted as a Distinguished Story in The Best American Stories 2012. LESLEY NNEKA ARIMAH was born in the United Kingdom and grew up wherever her father was stationed for work, which was sometimes Nigeria, sometimes not. Her work has received grants and awards from Commonwealth Writers, AWP, and others. She was selected for the National Book Foundation’s 5 Under 35. Her short story collection What It Means When A Man Falls from the Sky is the winner of the 2017 Kirkus Prize in fiction. ALEXANDRA KLEEMAN is a writer of fiction and nonfiction, and has been published in The New Yorker, The Paris Review, Harper’s Magazine, Vogue, and n+1. She is the author of the novel You Too Can Have A Body Like Mine and the short story collection Intimations. She teaches at Columbia University and lives in Staten Island. The winning stories collected here—selected this year by judges Marie-Helene Bertino, Kelly Link, and Nina McConigley—take place in South Carolina and in South Korea, on a farm in the 18th century and among the cubicles of a computer-engineering firm in the present day. They narrate age-old themes with current urgency: migration, memory, technology, language, love, ecology, identity, family.